A huge work of art made by nature over the course of thousands of years. 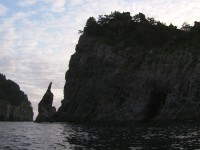 Though the fantastic shape itself is surprising, the moment that will remain in your memory forever is when the setting sun lights Rōsoku-jima (Candle Rock). 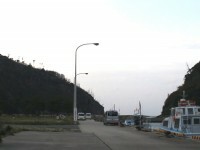 Kitagata, Okinoshima-cho, Oki-gun, Shimane Prefecture"